Losing a parent is one of the hardest things in the world - and for a young child, it's confusing and frustrating. Suddenly Mom doesn't come around anymore and you can't seem to find her. That' exactly the emotion this short film aims to depict. 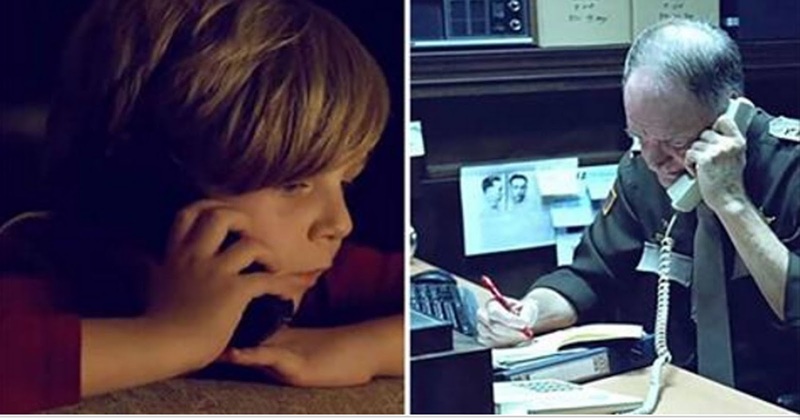 One little boy calls 9-1-1 and says his mom is "missing" but the police officer doesn't buy it. The officer thought it was a prank call at first and he scolded the young boy. Then he realizes that the boy's mother isn't missing, she's in Heaven. The boy describes his mother's "beautiful headscarves" and how she was sick and doesn't come around anymore. Instead of ignoring the boy's confusion and hanging up, the officer suggests something to make him feel better. The officer's suggestion makes the boy feel connected with his mother again and reassures him that she's always looking down on him from Heaven. Soon the boy goes from sad and alone, to happy and excited to "talk" with his mother in Heaven. The officer's idea is great for any little one struggling to come to terms with losing a friend of loved one. See what the officer did for the boy in the video below - but beware, you'll need a box of tissues!